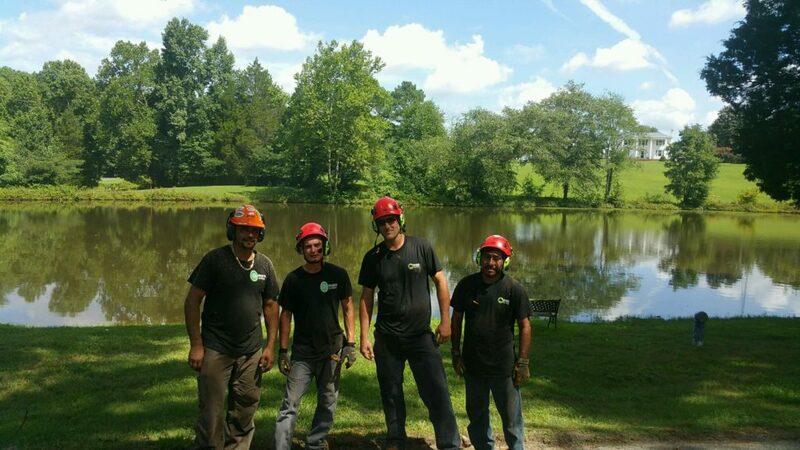 Do You Need A Professional Tree Service In Richmond Virginia? The experienced crew and staff at Orleans Co. Tree Service are here to help and assist you with all your tree service work. We are available 24 hours a day for any tree problems that require immediate action. We specialize in tree pruning, tree removal, stump grinding/removal and we offer professional crane services. The experienced arborists will meticulously plan your tree service job to ensure the highest rate for safety and security to your home and property and we guarantee a professional job with your needs put first. Your home and yard is our main concern, as we plan to get the job done and ensure the highest level of satisfaction for you with our cleanup process. You Can Count On Orleans Co. Tree Service! You can trust that Orleans Co. Tree Service will treat your property as if it was our own and we will leave you at peace of mind when the job is completed and your no longer left with the hassle of dealing with your tree service needs yourself. We Offer FREE estimates for all residential and commercial projects. We are happy to help you with any questions or concerns you may have, please feel free to contact Orleans Co. Tree Service for your residential tree service in Richmond Virginia. Contact Us Today For Your FREE Estimate at 804-733-4225.